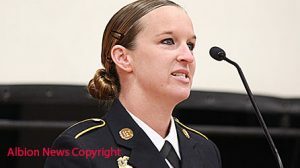 Military veterans are a special breed, but they don’t necessarily see themselves that way, according to Army Staff Sgt. 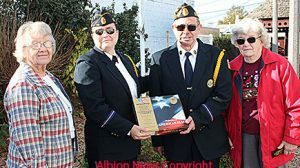 Tana McMillan. 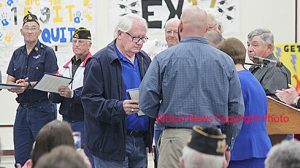 Veterans Day 2016 was special for some 53 Vietnam era veterans attending the annual Nov. 11 program at the Riverside High School Gym in Cedar Rapids. 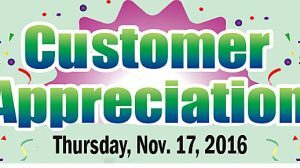 Albion Chamber of Commerce and local businesses will be starting off the holiday season with Customer Appreciation Day this Thursday, Nov. 17. 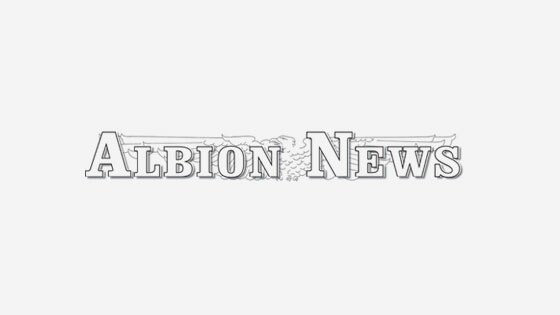 Albion City Council heard another round of testimony Nov. 8 on a request for zoning change on two lots near the Fifth and State Street intersection. 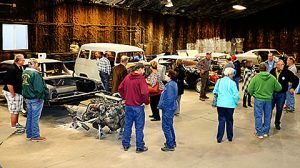 Newman Grove was the featured stop for the “Community Builders” organization last Wednesday evening, Nov. 9.